WASHINGTON—Despite dire predictions concerning lost revenue from the October federal government shutdown, Washington, D.C.’s Metrorail was profitable. Standard & Poor’s (S&P), a global rating agency, predicted that the U.S. Federal Government shutdown reduced the U.S. annualized fourth-quarter 2013 Gross Domestic Product (GDP) by 0.6 percent, or $24 billion. This prediction was made more than 2 weeks into the shutdown in October. Estimates before the shutdown ended vary: Wells Fargo & Company predicted that GDP would decrease between 0.1 and 0.5 percent; the Bank of America Merrill Lynch guessed a 0.5 percent decrease; and the Goldman Sachs Group, Inc. suggested a 0.2 percent per week decrease, according to a November 1 report by the Congressional Research Service (CRS). CRS explains that the government shutdown has a direct effect on GDP, “because government spending is a component of GDP.” The GDP is the market value of all goods and services produced during a given time. Despite these predictions, Washington, D.C.’s Metrorail’s operating revenue was 1.5 percent above budget, according to the District of Columbia (DC) Metro’s FY2014 First Quarter Financial Review. When combining passenger tickets and parking fees, Metro scored $3.1 million above predictions during the first quarter. Metro reported that its operating revenue did well because of advertising and an increase in bus riders. Another factor influencing the positive result was changes in accounting practices that allows metro to include unused tickets by bus riders and for parking at its parking lots. The shutdown cost Metro $5.5 million, because about 1.7 million passengers didn’t take the rail, as well as from lost parking revenue. Without the shutdown, Metro would have been another 1.5 percent above budget. Besides the increase in revenue, Metro was able to hold down expenses, resulting in a 2 percent decrease during the FY2014 First Quarter. Metro lost 6 percent or $12 million from subsidies it received from the three metro area governments. Metro’s revenue comes from different types of earnings, such as passenger fares and advertising. These earnings pay 55 percent of Metro’s expenses. Local governments subsidize the remaining expenses, according to the FY 2012 Preliminary Subsidy Calculation report. 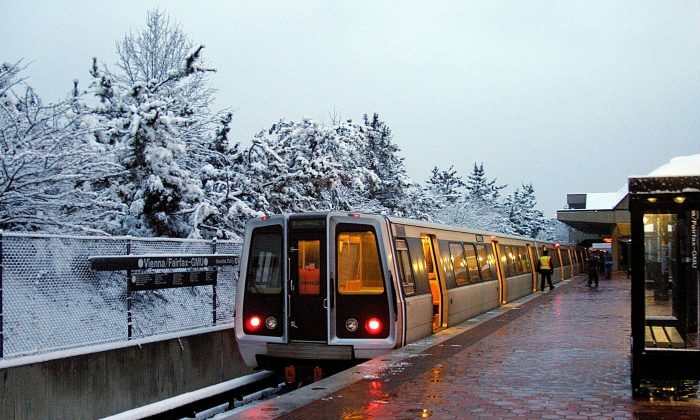 The three Metropolitan areas subsidize expenses from daily services to Metro’s commuters: Maryland accounted for 40 percent, DC 37 percent, and Virginia 23 percent of the 2012 subsidy, according to preliminary calculations. Metropolitan area governments subsidize a portion of general expenses, while the federal government provides a subsidy for capital expenditures. For example, capital expenses are for new trains, improvements, rehabilitations of Metro plants and elevators, and additional Metro locations. For Metro’s 2014 Capital Improvement Program (CIP), Metro projected a capital budget of $959 million of which it plans to receive a $491 million subsidy from the federal government. CIP projections for the period 2014 through 2019 require $5.5 billion in capital investments. Metro published its 2013 Operating Budget Performance in September revenues were $20.3 million or 2.3 percent lower than projected. Metro blames a 2 percent lower ridership and on 6.1 percent less people taking advantage of its parking facilities than budgeted. It also points fingers at to changes in the federal transit subsidy. A large portion of the shortfall was attributed to Hurricane Sandy and President Obama’s decision to make Christmas Eve 2012 a federal holiday. “In the case of Sandy, Metro shut itself down for two days as the monster storm approached the Washington area, even though the second day’s weather was not terribly severe,” said a September Washingtonian article. However, with expenses being by 3.2 percent less than expected, mostly because of the $45.5 million lower labor cost, Metro reported a $30.2 net million profit at the end of FY2013. The Washington Metropolitan Area transit Authority (Metro) is an outcome of President Johnson signing a bill for a 25-mile transit system in 1966. Construction began in 1969 and the first phase began to operate in 1976. As of 2013, Metrorail has a 106.3 mile transit system and services its customers through 86 Metro stations. The total ridership on Metro’s rail and bus system consists of approximately 5 million people. The Metro system receives as much kudos as reproaches on Yelp and other such systems. One rider was surprised to receive a $21.45 refund he had requested when his Metro Pass had been wiped clean. Another was amused to see how clean the DC Metro system is when compared to the New York City subways, where one has to worry about rats running over ones feet. The Metro system has its friends and adversaries, as any other public transportation system or anything that serves multiple people. It’s the nature of things. However, anyone who has used public transportation systems in a foreign country, or even in New York, calls him or herself fortunate to be served by the DC Metro. Moneywise, the Metro is doing ok and survives with the help of subsidies. It, just like so many others, misses its budget in both directions, but who is to complain as long as it keeps running and gets its customers to where they want to go.